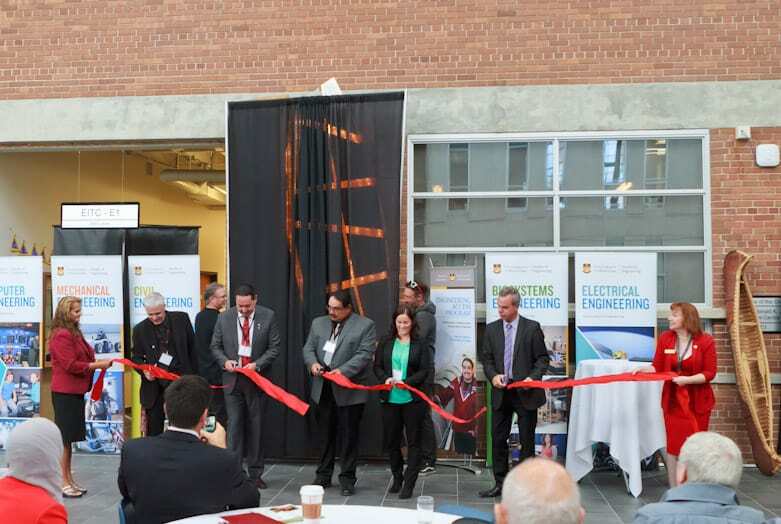 Friday October 2nd, 2015 was a memorable milestone for The University of Manitoba’s engineering faculty. 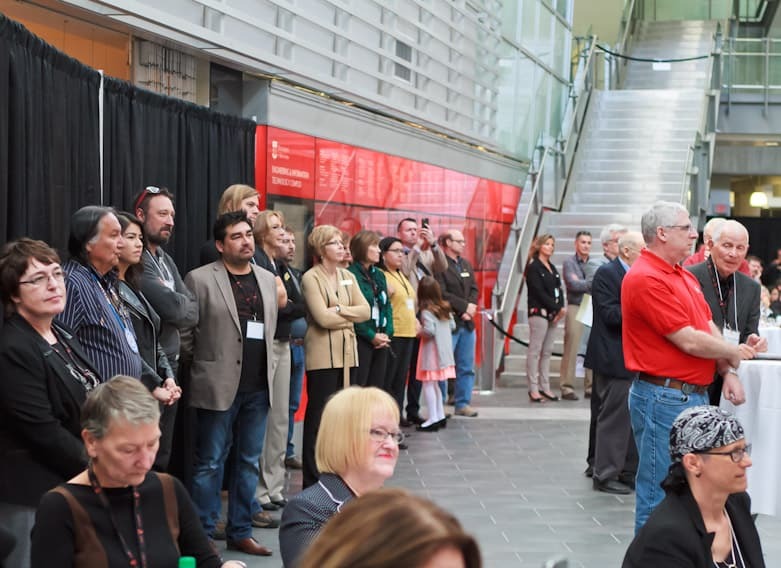 The faculty held a celebration & homecoming for its Manitoba Engineering Access Program’s (ENGAP) 30th year anniversary. ENGAP provides guidance to Aboriginal peoples pursuing a degree in Engineering. 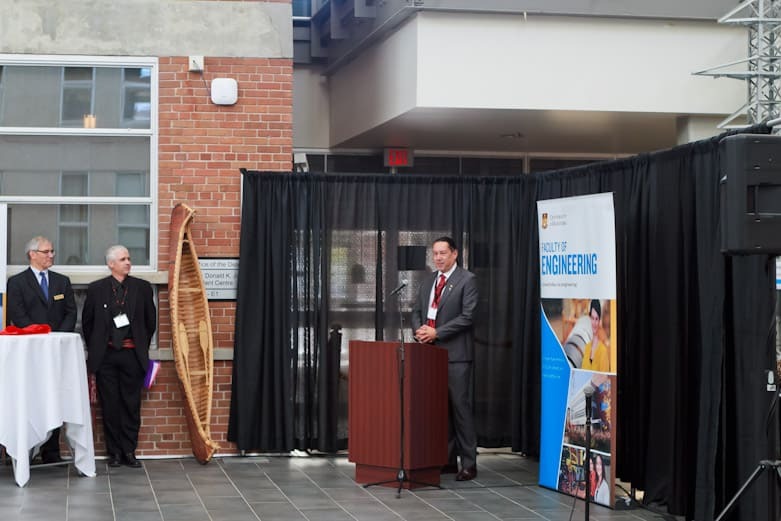 As a display of its achievement the faculty commissioned Dave Thomas of Ayshkum Engineering who co-designed U of M’s Aboriginal Students Centre to design a commemorative display. This would reside in the engineering atrium that would showcase the past graduates of the program. Dave reached out to Wood Anchor for fabrication and co-design-build. 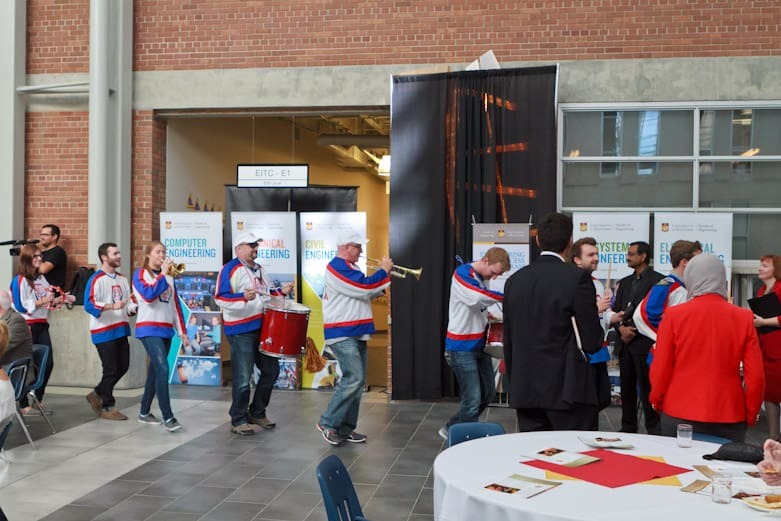 The celebration started off with the engineering marching band followed by a notable list of speakers such as Daniel Brown who was the first graduate of the program. The unveiling was preceded with a “cutting of the ribbon”. The new display was then greeted by astonished applause most notably from the graduates that saw their name on the aluminum panels.